Winter. I remember tons of snow, eating honey flavored snow cups our neighbor used to make, making igloos and snowmen, hot chocolate and chicken soup, sledding down hills we made on trails in the woods, wet clothes by the door, and of course laughter and giggles. What was the one thing they all had in common? Snow. I know it did not snow every day, but those are the memories that I have held on to. They are special. Even today, I think back on them and smile. Make memories. Sounds simple enough, right? 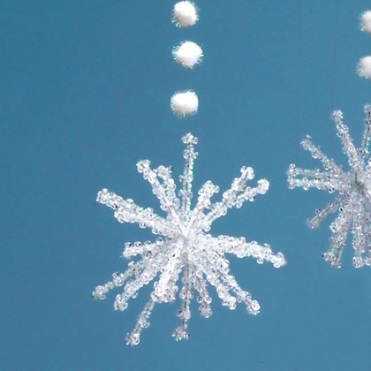 Here are a few ideas to get you started for when there isn’t actual snow on the ground. Chocolate Treat Dippers. Already this sounds yummy! 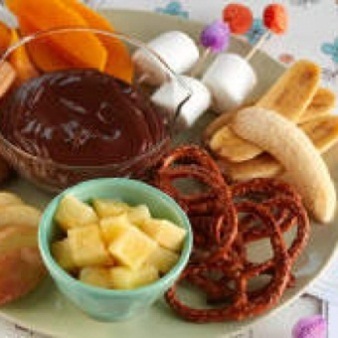 Choose your favorite fruits and savory snacks this winter and pair it with delicious, melty chocolate. These Chocolate Treat Dippers are great for a fun kid’s treat, an elegant party dessert, a Valentine's Day dessert, or a holiday sweet. Place chocolate discs in a microwave bowl. Melt according to directions on package. Gather other “dipper” foods on plate or tray. Don’t forget forks and napkins! Spread blanket on living room floor. Grab pillows for comfort. Bring food and friends to your indoor Chocolate Treat Dippers picnic! Ice Sparkles. No snow? That is okay. Make your own sparkles! You will be living in your own winter wonderland. The best part? It won’t melt! Cut 6 pipe cleaners in half to create 12 pieces. Hold 11 pieces together and tightly wrap the last piece around the middle of the bundle twisting its ends to secure it. Spread the pipe cleaner pieces into a starburst shape and thread about 5 beads onto each pipe cleaner. 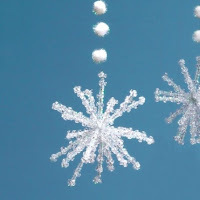 Using the needle, thread the pom-poms on the fishing line, then tie the snowflake to one end of the line. Create a play, dance, or song to perform underneath your sparkly creations. Make memories! Human Snowman. This game requires some friendly competition. How fast can you make a human snowman? To play, divide your group into pairs, each with a builder and a model. 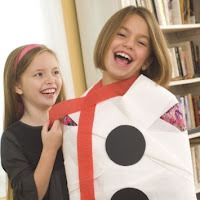 Give each builder a roll of toilet tissue, a length of crepe paper, and three circles cut out of black card stock and backed with a loop of tape. At "Go," the builders race to wrap their patient partners with the entire roll of toilet tissue, finishing off the look with a crepe paper scarf and the three card stock buttons. The first builder to complete her snowman wins. All of these activities are fun no matter if you are 5 or 95. The point is to laugh, have fun, and make memories that will stay with you.